Only use this thread to submit bugs and issues, please provide as much as details as possible to reproduce it and attach a screenshot if needed. I had a theory about something but it wasn't right so I just edited this post. Last edited by hammr25; 05-26-2015 at 02:44 PM. New build. Does it update automatically? I have a problem hope you can help. I am running windows 8.1 64bit. I have the latest version and it says net framework is installed. I also run windowed. When I run the game the overlay shows but it sticks to the top right of the screen and only slows the left edge of the overlay. I cannot move the overlay nor do any of the sliders move. What can I do to get all of the overlay to show and work? I'm new to the mod and having a similar issue to AM1001. Only difference is I am running Windows 10 64bit. When I run the game the overlay shows but it sticks to the top right of the screen and only slows the left edge of the overlay. I cannot move the overlay. My setup is a small cabinet with a 32" TV in 1080 x 1920 for the playfield and a 24" monitor for the backbox running 1600 x 1200. TPA is configured to run in windowed mode at 1080 x 2200. Drivers are current and the card is an NVidia GTX960. The settings.ini file is just as you have it in your CameraModGuide. I have two issues actually and have included a pic to illustrate them. 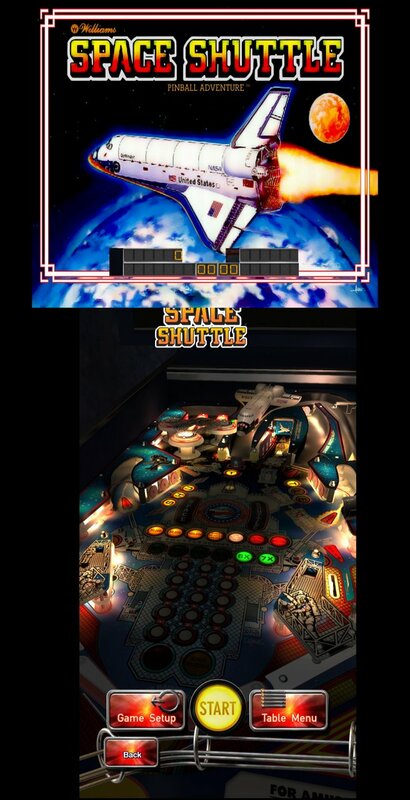 The first is that the overlay cannot be moved and is only half visible on the playfield monitor. The second is that the backbox images display a few inches to far to the right and the top few inches of the image are cutoff. the playfield are you using pc resolution or tv? hdmi? and setup multiple displays..your monitor doesn't look centered either. First many thanks for the amazing work NoEx and Robert! (1) When running in offline mode, the Backglass does not display. If you Alt-Tab as well you cannot see the backglass. As soon as I go online and run the mod with TPA the backglass shows. I don't have internet on my cabinet, so the way I tested it was with an internet connection was by running a long internet cable across to the cabinet. I get a lot of Playfield stutter from the ball when playing and also when the camera is doing a fly-by. It seems that the Playfield and Backglass display are 'fighting' each other to be 'on top'. I experienced with dozens of nVidia scaling settings for Aspect ratio, scaling on display / GPU, overriding the scaling mode set by games and programs, etc. but still get the issue. I have also tried Aero on/off, VSync, etc. silverballs both displays are setup on the same video card right? on seperate hdmi or dvi connectors? it sounds like a sync issue between monitors..are they both on the same refresh and both setup as pc mode not tv? 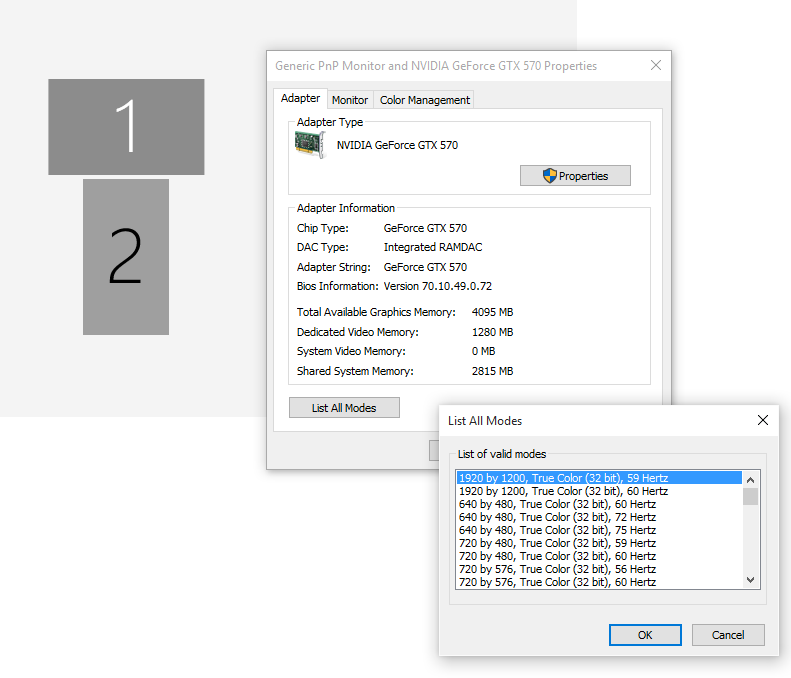 as well in your nvidia custom 3d settings for pinballarcadedx11.exe do you have multi monitor performance enabled?..oh do you have 3 monitors connected to that videocard perhaps? Edit: I also have multi-monitor perf enabled and all settings such as quality set to prefer perf. My TV is set to Game mode (LGs JustScan). Last edited by SilverBalls; 09-24-2015 at 01:21 PM. silverballs is the hdmi using dedicated hdmi port on video card? or dvi to hdmi cable? Actually not able to use cab now as family gone to bed, but interesting you ask. The TV has an HDMI cable going to DVI on the graphics card. The backgkass has a DVI on graphics card I think going to DVI on monitor (need to check by moving cab tomorrow). Could the DVI to HDMI cable be the cause do you think? as well after that try all 3 multi-display/mixed gpu performance ..see if theres a change. Thanks so much NoEx and Robert for your work related to the latest version of the Mod! "For a two display setup, the resolution of the playfield should be set to 1080x1920 and the backglassmonitor should be setup for 1600x1200. Within your video cards display settings, you must set your backglass monitor above the playfield monitor (which must be set to portrait by the display controls) and centered as best you can manually." My workaround is to push the PlayfieldShift settings lever all the way up to the top, moving from the default of 0 up to 30. So far it's helping on the tables I've checked. But if I can get the PBA Config to be at 1080x2200, it may give me some more flexibility to use that PlayFieldShift later. Thanks Robert. That worked great! P.S. For anyone running into the confusion I had: I noticed that after I manually entered the "2200" into that second (lower) box (BackBuffer Height), afterwards when I went back into the PBA Config utility it showed 1080 in that second box. So I found the trick is to just type in 2200 and don't go back in to look at it. First before I mention my problem agqain, don't let my issue put anyone else off trying this. This is someone particular to my screen setup (maybe cables) and not the camera mod. I tried a few things as you suggested but unfortunately no luck with getting the playfield playing smoothly when the backglass is 'on top'. I tried switching the ports for the screen and made different screens primary, etc.. I also tried various scaling options and overriding game stuff, etc. As my TV also has a VGA port, I thought it was worth trying to connect the playfield to this. I had to use an VGA-DVI adapter to plug it into the graphics cards DVI. Still got the same behaviour unfortunately. My graphics card has 2 DVI ports and one mini-HDMI so I thought is is worth trying a cable from this mini-HDMI to the TV's HDMI. As I don't have one and couldn't find one in the shops here, I ordered one from Amazon but upto 3 weeks to be delivered! 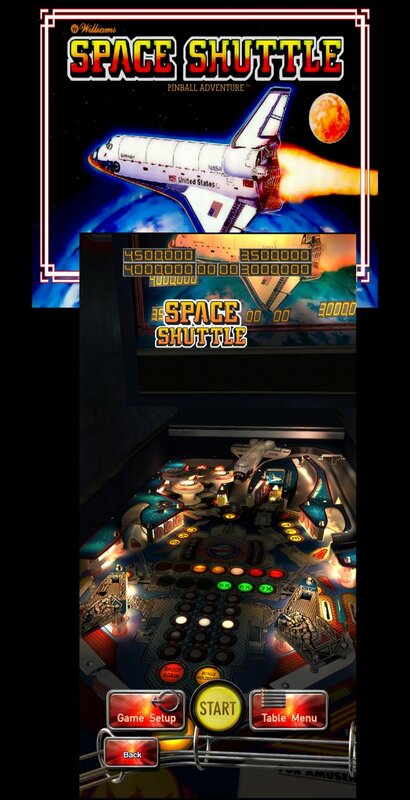 Like I mentioned before I can succusessfully use 2 screens with both the playfield and backglass showing, with completely smooth gameplay and smooth camera flyby. However the only way I can achieve this, is by bringing TPA to the front so it has priority over the backglass. This is the case with all configurations and all settings I have tried. This plays very stuttery with slicing, and the camera flyby is slicing too. Despite the small annoyance I am in fact completely happy with how this works for me - I just need to have TPA on top of the backglass as shown in the first photo above, allowing the overlapping part of the TPA playfield to be on top of the lower part of the backglass, so this is no big deal. I can see the backglass and it changes when I load a new table. I have the DMD on the other screen. I have perfect camera angles. This is 10 times better than Farsight's default offering. Last edited by SilverBalls; 09-25-2015 at 02:50 AM. Yes! PBA Config utility doesn't save this value correctly because it's not in the list, this is a known issue, just type 2200 manually and don't go back in the utility. Thanks for you feedback, in fact it's been ages since i've started the mod in offline mode, and i thought cabinet mode would work as well in offline mode so i didn't tested it, but apparently it doesn't i'll fix it asap. Thanks for the info NoEx. Based on what you said I just did a test with TPA spanning the 2 screens in the same way but this time using the CustomDesktopLogo program that Robert originally used. I get the same stuttering/slicing with that too, but as soon as I close it, smooth again. I tried moving the Logo to the top left of the backgkass monitor so that it did not appear to overlay TPA and it still stuttered/sliced. I guess the logo overlays the who screen. But when i run the mod the framerate drops in tpa. This must be becouse of my minimal cpu and gpu, so i left it alone hoping farsight would release cab support soon..
Must i invest in a new pc and videocard? Tpa in DX11 medium settings runs perfect. The overhead from the camera mod is pretty minimal your video card is better then mine rams ok but your cpu might be the culprit. check your tpa configuration settings and set MSAA samples to 1 and MSAA quality to 0 first and try that if it runs smooth without MSAA I'd advice raising the backbuffer values higher vs using AA..game looks better that way. Last edited by Robert Misner; 09-25-2015 at 11:44 AM. can you setup your system so the backglass is monitor one and shows the playfield and the playfield monitor is display 2 and acts as the backglass and run it and see if the studdering follows the playfield or what it does? you can setup custom timing options in your advanced display settings for windows.